PRAIRIE VIEW, TX – Five members of the Prairie View A&M University Cooperative Extension staff made presentations and showcased the work that they do to help at-risk youth and families at the 2010 National CYFAR conference held May 4- 7 in San Francisco, California. They were part of more than 900 Extension staff, collaborators and volunteers participating in the annual Children, Youth, and Families at Risk (CYFAR) conference. 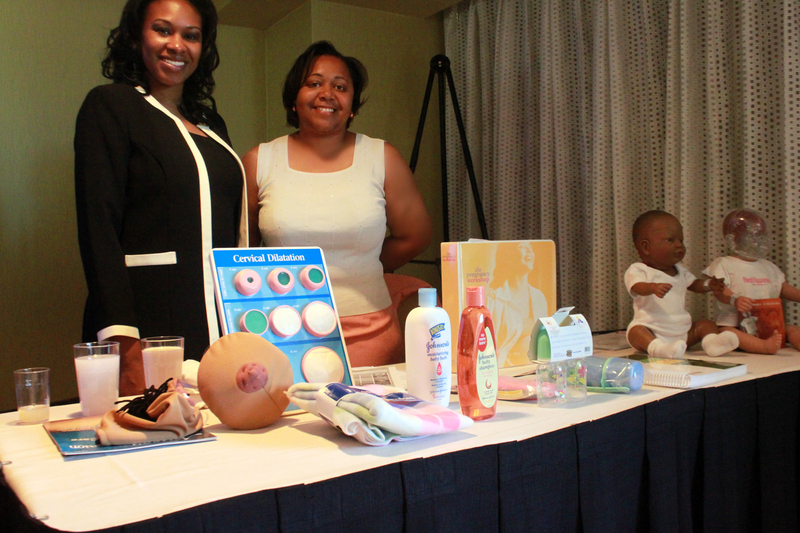 Leticia Rolland-Hardy, left and Tonya McKenzie, stand by their "Nutritional Guidance for Pregnant Teens" display. Dr. Crystal Wiltz, kneeling, Gussie McConnell, left, and Carolyn Perkins, right, pictured in front of their exhibit, "Walking Groups Foster Positive Diabetes Outcomes", which was part of the Program Showcase at the National CYFAR Conference. Several other staff also attended the 2010 National CYFAR conference. “We will continue to have our staff participate in these types of events to share what we do and, hopefully, help others incorporate some of our educational programming ideas into their own extension programs,” said Dr. Richards. 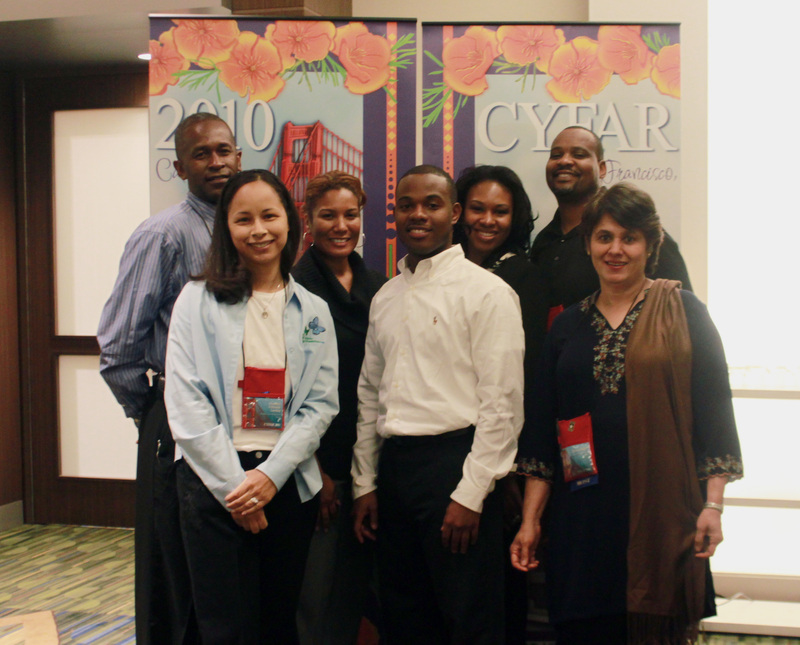 Pictured are several Extension staff members who attended the 2010 CYFAR Conference. Front row, from left, Shannon Johnson-Lackey, Timothy Sandles and Tahira Malik; back row, from left, Marvin Young, LaRachelle Smith, Leticia Rolland-Hardy and Ricky Mahaley. Through an annual Congressional appropriation for the National Children, Youth, and Families at Risk (CYFAR) Program, the USDA National Institute of Food and Agriculture allocates funding to land-grant university extension services for community-based programs for at-risk children and their families. 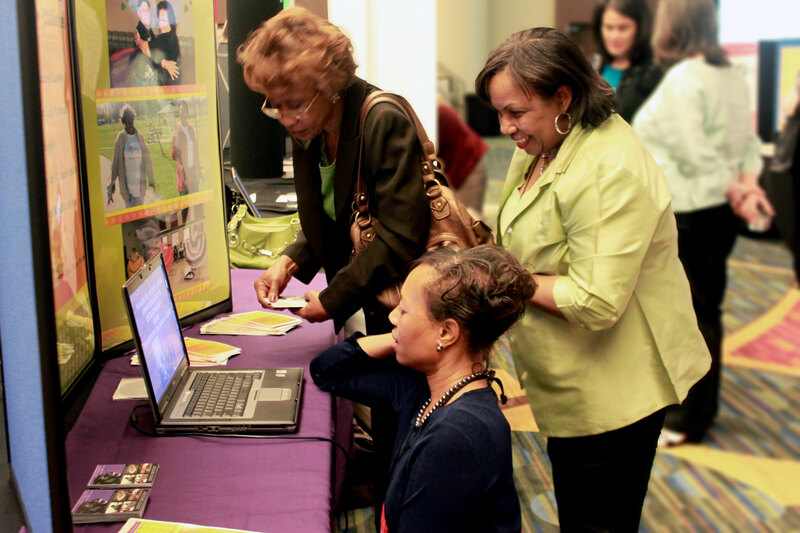 Since 1991, CYFAR has supported programs in more than 600 communities in all states and territories. CYFAR promotes the use of technology to improve programs, provide efficient access to educational resources, and provide essential technological skills for youth and adults in at-risk environments. This entry was posted on Monday, May 17th, 2010 at 4:03 pm and is filed under 4-H & Youth Development, Family and Consumer Sciences, General CEP News. You can follow any responses to this entry through the RSS 2.0 feed. You can leave a response, or trackback from your own site.